Number of internet users in world has already crossed 4 billion mark, so importance of internet for any business cannot be ignored. If your website is ranking on first page of search engine for keywords related to your business, then your growth will be phenomenal. Any website on top of google will get more clients and take the business to the next level. So, SEO is must now for every business to grow. To start SEO first of all you have to find a digital marketing agency. You can take help of internet by searching with keywords. Always consider to go for a company which is in your native country. 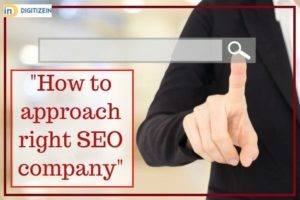 For example of you are an Indian, you can search for keywords like Best SEO Company India to get a list of reputed companies in industry. Age of Company: SEO is all about experience, more is the experience better are the services. Always look for a company who has minimum 5 years of experience. Time Period reflects the level of experience. These companies are reliable as they are set up in the market. Company Background: Check out their reviews on website and other resources. Also get to know about their past work like with which brand they are working for and for how many website they have completed the project. Most competitive keywords on which they have worked. This gives an idea of skill set of employees. 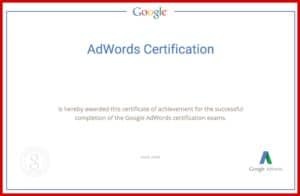 A company with adwords certified employees are considered to be good for projects. All these sort of details are crucial to consider a company to give project. Prices and Work Report: After doing all this research ask for the best quotation from at least 3 vendors. As budget is main constraint for every company, so one should always consider affordable SEO company in India. Also ask about report of the work to be shared. Will it be shared weekly, fortnightly or monthly? Fortnight report is being shared by many companies. Also ask for the reports of google analytics, so that you can see the improvement in the number of visitors and can compare it from past months. All these points are sufficient to decide right SEO Company for your business.